When you read the phrase “elephant in the room...” this isn’t implying that there actually is an elephant inside of a room. “Elephant in the room” is an English metaphorical idiom for an obvious truth that is either being ignored or going unaddressed. The idiomatic expression may also apply to an obvious situation or risk no one wants to potentially discuss. What I simply want to accomplish is to examine current events through the lense of Biblical Scripture, which is one of the primary focuses of this website. As of late, the current news headlines have been centering around global events that pertain to the Golan Heights, Gaza, the West Bank, the status of Jerusalem, Hezbollah, Hamas, Iran, Syria, Turkey and Russia. Those who don’t know Bible prophecy find it it difficult to understand but the Word of God is never wrong. An old friend of mine once told me that truth and time go hand in hand. I believe what we are witnessing today is an acceleration factor pertaining to events in the Middle East that directly involve Israel and ultimately point to the return of the LORD Jesus Christ. The Golan Heights, a rocky plateau in south-western Syria, has a political and strategic significance which clearly become advantageous to its owner. As of now, both Iran and Lebanon would have direct access through Israel via the Golan Heights. I suggest this area may now be one of financial significance. More on that in a moment. Historically speaking, the British colonial power gave the Golan to France’s Syrian colony in 1923. After the 1948–49 Arab-Israeli War, the Golan Heights were partly demilitarized by the Israel-Syria Armistice Agreement. Furthermore, Syria attacked Israel in 1967 and lost the Golan Heights. Syria had occupied it for 44 years. During the closing stages of the Six-Day War in 1967, Israel seized the Golan Heights from Syria and as a result, most of the Syrian Arab inhabitants fled the area during this conflict. Israel’s Prime Minister Benjamin Netanyahu recently thanked U.S. President Donald Trump for signing a proclamation recognizing Israel’s authority over the long-disputed Golan Heights two weeks before Israeli elections are set to take place. Benjamin Netanyahu also referred to Trump as a modern Cyrus after the signing of the Golan Heights recognition. In his remarks, Benjamin Netanyahu mentioned the great leaders through history who have had a profound influence on the Jewish people and the state of Israel, including King Cyrus who liberated the Jews and issued an edict for the rebuilding of the Jewish temple in Jerusalem.This was the second time the comparison was made. Biblically speaking, the Bashan region, now known as the Golan Heights, is a part of the biblical territory promised to the Patriarch Abraham and the people of Israel for an everlasting covenant — the Covenant of the Parts — recounted in Genesis 15. Genesis 15: 1-21—After these things the word of the Lord came unto Abram in a vision, saying, Fear not, Abram: I am thy shield, and thy exceeding great reward.2 And Abram said, Lord God, what wilt thou give me, seeing I go childless, and the steward of my house is this Eliezer of Damascus?3 And Abram said, Behold, to me thou hast given no seed: and, lo, one born in my house is mine heir.4 And, behold, the word of the Lord came unto him, saying, This shall not be thine heir; but he that shall come forth out of thine own bowels shall be thine heir.5 And he brought him forth abroad, and said, Look now toward heaven, and tell the stars, if thou be able to number them: and he said unto him, So shall thy seed be.6 And he believed in the Lord; and he counted it to him for righteousness.7 And he said unto him, I am the Lord that brought thee out of Ur of the Chaldees, to give thee this land to inherit it.8 And he said, Lord God, whereby shall I know that I shall inherit it?9 And he said unto him, Take me an heifer of three years old, and a she goat of three years old, and a ram of three years old, and a turtledove, and a young pigeon.10 And he took unto him all these, and divided them in the midst, and laid each piece one against another: but the birds divided he not.11 And when the fowls came down upon the carcases, Abram drove them away.12 And when the sun was going down, a deep sleep fell upon Abram; and, lo, an horror of great darkness fell upon him.13 And he said unto Abram, Know of a surety that thy seed shall be a stranger in a land that is not theirs, and shall serve them; and they shall afflict them four hundred years;14 And also that nation, whom they shall serve, will I judge: and afterward shall they come out with great substance.15 And thou shalt go to thy fathers in peace; thou shalt be buried in a good old age.16 But in the fourth generation they shall come hither again: for the iniquity of the Amorites is not yet full.17 And it came to pass, that, when the sun went down, and it was dark, behold a smoking furnace, and a burning lamp that passed between those pieces.18 In the same day the Lord made a covenant with Abram, saying, Unto thy seed have I given this land, from the river of Egypt unto the great river, the river Euphrates:19 The Kenites, and the Kenizzites, and the Kadmonites,20 And the Hittites, and the Perizzites, and the Rephaims,21 And the Amorites, and the Canaanites, and the Girgashites, and the Jebusites. Deutoronomy 4: 40-49—40 Thou shalt keep therefore his statutes, and his commandments, which I command thee this day, that it may go well with thee, and with thy children after thee, and that thou mayest prolong thy days upon the earth, which the Lord thy God giveth thee, for ever.41 Then Moses severed three cities on this side Jordan toward the sunrising;42 That the slayer might flee thither, which should kill his neighbour unawares, and hated him not in times past; and that fleeing unto one of these cities he might live:43 Namely, Bezer in the wilderness, in the plain country, of the Reubenites; and Ramoth in Gilead, of the Gadites; and Golan in Bashan, of the Manassites.44 And this is the law which Moses set before the children of Israel:45 These are the testimonies, and the statutes, and the judgments, which Moses spake unto the children of Israel, after they came forth out of Egypt.46 On this side Jordan, in the valley over against Bethpeor, in the land of Sihon king of the Amorites, who dwelt at Heshbon, whom Moses and the children of Israel smote, after they were come forth out of Egypt:47 And they possessed his land, and the land of Og king of Bashan, two kings of the Amorites, which were on this side Jordan toward the sunrising;48 From Aroer, which is by the bank of the river Arnon, even unto mount Sion, which is Hermon,49 And all the plain on this side Jordan eastward, even unto the sea of the plain, under the springs of Pisgah. The town of Bashan was located in the middle of the Golan Heights. It was under the rule of an Amorite king, yet another giant whose name was Og. Now let’s fast forward to the 21st Century.What could make the Golan Heights even more valuable to Israel? How about the discovery of a huge oil deposit? The Russian Times (RT) and many other sources report that Israel has indeed discovered a major deposit of oil on the Golan Heights. In addition, Israel has granted a Golan Heights oil drilling license to an American Company. Recent tests have indicated that there very well may be large oil and gas deposits in the Golan!!! Ezekiel 38:1-12—And the word of the Lord came unto me, saying,2 Son of man, set thy face against Gog, the land of Magog, the chief prince of Meshech and Tubal, and prophesy against him,3 And say, Thus saith the Lord God; Behold, I am against thee, O Gog, the chief prince of Meshech and Tubal:4 And I will turn thee back, and put hooks into thy jaws, and I will bring thee forth, and all thine army, horses and horsemen, all of them clothed with all sorts of armour, even a great company with bucklers and shields, all of them handling swords:5 Persia, Ethiopia, and Libya with them; all of them with shield and helmet:6 Gomer, and all his bands; the house of Togarmah of the north quarters, and all his bands: and many people with thee.7 Be thou prepared, and prepare for thyself, thou, and all thy company that are assembled unto thee, and be thou a guard unto them.8 After many days thou shalt be visited: in the latter years thou shalt come into the land that is brought back from the sword, and is gathered out of many people, against the mountains of Israel, which have been always waste: but it is brought forth out of the nations, and they shall dwell safely all of them.9 Thou shalt ascend and come like a storm, thou shalt be like a cloud to cover the land, thou, and all thy bands, and many people with thee.10 Thus saith the Lord God; It shall also come to pass, that at the same time shall things come into thy mind, and thou shalt think an evil thought:11 And thou shalt say, I will go up to the land of unwalled villages; I will go to them that are at rest, that dwell safely, all of them dwelling without walls, and having neither bars nor gates,12 To take a spoil, and to take a prey…. Nahum 1:1-9— The burden of Nineveh. The book of the vision of Nahum the Elkoshite.2 God is jealous, and the Lord revengeth; the Lord revengeth, and is furious; the Lord will take vengeance on his adversaries, and he reserveth wrath for his enemies.3 The Lord is slow to anger, and great in power, and will not at all acquit the wicked: the Lord hath his way in the whirlwind and in the storm, and the clouds are the dust of his feet.4 He rebuketh the sea, and maketh it dry, and drieth up all the rivers: Bashan languisheth, and Carmel, and the flower of Lebanon languisheth.5 The mountains quake at him, and the hills melt, and the earth is burned at his presence, yea, the world, and all that dwell therein.6 Who can stand before his indignation? and who can abide in the fierceness of his anger? his fury is poured out like fire, and the rocks are thrown down by him.7 The Lord is good, a strong hold in the day of trouble; and he knoweth them that trust in him.8 But with an overrunning flood he will make an utter end of the place thereof, and darkness shall pursue his enemies.9 What do ye imagine against the Lord? he will make an utter end: affliction shall not rise up the second time. The bottom line here is that God’s prophetic word is coming to pass. It is very possible that the enemies of Israel are gathering for an attack from the Golan Heights. Remember, in the Bible whenever Israel was invaded, the invasion always came from the North. Could current developments in this area coinciding with this being the 70th year of the birth of Israel as a nation be setting the stage for the onset of the 70th week of Daniel also known as the time of Jacob’s trouble, i.e. the 7 year tribulation period??? We will find out very soon. Posted on April 3, 2019 April 3, 2019 Author A. V. RaufCategories Bible ProphecyLeave a comment on The Elephant in the Room: Og, Gog, Magog and………OIL??? As I write this post, India and Pakistan are both rushing troops, heavy armor and artillery to the flash point Line-of-Control in the formerly princely state of Jammu and Kashmir. The term Line of Control (LoC) refers to the military control line between the Indian and Pakistani controlled parts of the former princely state of Jammu and Kashmir—a line which does not constitute a legally recognized international boundary, but is the de facto border nonetheless. This area has been considered to be one of the most dangerous places in the world. Both Indian and Pakistani Fighter aircraft are literally flying combat air patrols non-stop along their common border and the Jammu Kashmir Line of Control. Most reports have it that India has lost two aircraft and Pakistan one aircraft in hostile actions. On February 14, 2019, a suicide bomber took the lives oaf at least 40 Indian troops in a convoy traveling through Kashmir. A militant group based in Pakistan called Jaish-e-Mohammed claimed responsibility for the attack. India responded by launching airstrikes against Pakistan— the first in roughly 50 years — and Pakistan has said it shot down two Indian fighter jets and captured one of the pilots. Both countries possess close to 150 Nuclear weapons EACH! Although nuclear conflict is unlikely, Pakistani leaders have said their military is preparing for “all eventualities.” The country has already assembled its groups responsible for making decisions on nuclear strikes. In one scenario, if each country exchanged 50 weapons, less than a third of its arsenal, with each of those weapons being capable of triggering a Hiroshima-size explosion, or about 15 kilotons’ worth of TNT, the model suggested those explosions would release about 5 million tons of smoke into the air, triggering a decades-long nuclear winter. Most of this smoke in the scenario the researchers considered would come from firestorms that would tear through buildings, vehicles, fuel depots, vegetation, and more. This smoke would rise through the troposphere (the atmospheric zone closest to the ground), and particles would then be deposited in a higher layer called the stratosphere. From there, tiny black-carbon aerosols could spread around the globe. In populated areas of North America, Europe, Asia, and the Middle East, changes could be more extreme. Winters there would be about 2.5 degrees colder and summers between 1 and 4 degrees colder, reducing critical growing seasons by 10 to 40 days. Expanded sea ice would also prolong the cooling process, since ice reflects sunlight away. The change in ocean temperatures could devastate sea life and fisheries that much of the world relies on for food. Such sudden blows to the food supply and the “ensuing panic” could cause “a global nuclear famine,” according to the study’s authors. The effects of this nuclear conflict would eliminate 20% to 50% of the ozone layer over populated areas. Surface temperatures would become colder than they’ve been for at least 1,000 years. This type off an aftermath clearly parallels what the disciple John saw in his apocalyptic visions in the Book of Revelation. What we do know is that during the 7 year Tribulation period, a vast army nearing 200 million troops will march towards the Middle East, killing 2.5 billion of the world’s population, in making war on the Antichrist and his beast empire. Revelation 9:13-19—And the sixth angel sounded, and I heard a voice from the four horns of the golden altar which is before God,14 Saying to the sixth angel which had the trumpet, Loose the four angels which are bound in the great river Euphrates.15 And the four angels were loosed, which were prepared for an hour, and a day, and a month, and a year, for to slay the third part of men.16 And the number of the army of the horsemen were two hundred thousand thousand: and I heard the number of them.17 And thus I saw the horses in the vision, and them that sat on them, having breastplates of fire, and of jacinth, and brimstone: and the heads of the horses were as the heads of lions; and out of their mouths issued fire and smoke and brimstone.18 By these three was the third part of men killed, by the fire, and by the smoke, and by the brimstone, which issued out of their mouths.19 For their power is in their mouth, and in their tails: for their tails were like unto serpents, and had heads, and with them they do hurt. India is a nation located in lower Asia. Its population is one that easily exceeds over one billion people. They have a large military, but they also have nuclear weaponry. East of India lies Pakistan. Another country not as large but also with a military and nuclear weaponry. Historically speaking, we need to remember that India and Pakistan were once one country. Let me also mention here that India is mentioned in the Bible. Interestingly enough, it is mentioned in the same sentence with Ethiopia. This is may not be by coincidence. The Hebrew word “Kush” or “Cush” is typically thought of as referring to Ethiopia. Another related country, Libya, is usually thought of as being the Hebrew word “Put” or “Phut.” When used together, these two Hebrew words can refer to India. With this in mind, the historian Herodotus notes that there were two types of Cushites: curly-haired and straight-haired. He notes that some of the straight-haired Cushites migrated into the area of India (Herodotus 3:94, 7:70). Their hair was the only difference in appearance between them. Josephus makes note of this (Antiquities of the Jews Book 1, Chapter VI). The same can be said of Put (Smith’s Dictionary of Roman and Greek Geography, “India”). The Bible tells us that the Assyrians even took Ethiopians captive to this area of the world (see Is. 20). This might explain why the Hindu Kush Mountains are right next to India. There are also other territories carrying the “KSH” sound in them. Kashmir is an important province in India. Cushul is another city in India. As the Cushites migrated to this area, they left their mark. The word “Put” is routinely used in the Bible for war. The best warriors in India and even the ruling class for centuries were called the Rajaputs (or Rajput: see 1911 Encyclopedia Britannica “Rajput”). Rajaput means king or ruler of put. When Cush and Put are used together, it actually refers to India. Cush and Put are mentioned right beside Iran (identified as Persia). This could perhaps confirm Cush and Put as India. Often when I studied this passage I always found it difficult to see Ethiopa and Libya which are in Africa to be a part of this coalition. Now if what I am alluding to is correct, it immediately intensifies and enhances the scale and scope of the coming war in Ezekiel 38-39!! There are very few connections between Ethiopia, Libya and Persia, mainly due to distance. The connections between Persia and India are numerous. First of all, India is closer to Persia geographically. These nations have had close economic ties in recent years because Iran is the nearest nation to India that can provide oil and natural gas. Discussions have been ongoing to build a pipeline between the two nations. Guess what country is between these two nations??? Pakistan! In 2015, India agreed to invest nearly $200 million into the port city of Chabahar in Iran (Pearson). Iran has the highest population of Shia’ Muslims in the world. In 2009, India had the 3rd highest Shia population in the world. India’s immediate neighbor to the northwest is Pakistan, who they have had major issues with over the years. Pakistan is also a Sunni Muslim nation. This gives Iran another reason to ally with India. Another interesting historical note is that the Persian language was spoken in the royal court of India until the 1800s. God forbid if there was a nuclear exchange between these two nations, just east of them awaits China, whom many Bible scholars believe may be a part of the Kings of the East. East of Jerusalem. Jerusalem has now become center stage and all of the prophetic peaces are rapidly falling into place. Could this current skirmish ultimately pave the way for the Kings of the East to march towards Jerusalem as the time of Jacob’s trouble gets set to commence. India and Pakistan separated just over seventy years ago. Israel became a nation just over seventy years ago. As they say “Coincidence” is not a kosher word. Posted on March 1, 2019 March 1, 2019 Author A. V. RaufCategories Bible ProphecyLeave a comment on Tension Amongst the Kings of the East?? The term “mashiach” literally means “the anointed one,” and refers to the practice of anointing kings with oil when they took the throne in the Old Testament . The mashiach is the one who will be anointed as king in the End of Days. Isaiah 11:1-5-—And there shall come forth a rod out of the stem of Jesse, and a Branch shall grow out of his roots. 2 And the spirit of the Lord shall rest upon him, the spirit of wisdom and understanding, the spirit of counsel and might, the spirit of knowledge and of the fear of the Lord; 3 And shall make him of quick understanding in the fear of the Lord: and he shall not judge after the sight of his eyes, neither reprove after the hearing of his ears: 4 But with righteousness shall he judge the poor, and reprove with equity for the meek of the earth: and he shall smite the earth: with the rod of his mouth, and with the breath of his lips shall he slay the wicked.5 And righteousness shall be the girdle of his loins, and faithfulness the girdle of his reins. 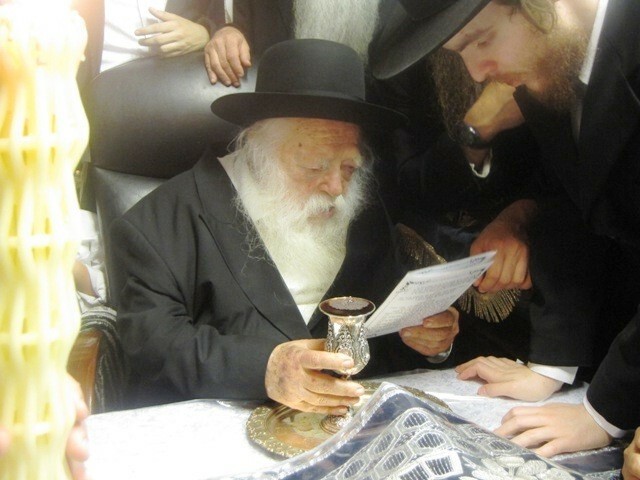 A rather interesting series of events are unfolding in congruent fashion New information is new circulating within the Haredi, or ultra-orthodox circles in Israel. As I mentioned in the previous article, this Mashiach will be a false Mashiach. We know that Jesus Christ is the Mashiach. Nonetheless, Jews do not believe that Jesus was the mashiach. According to Jewish belief, Shimeon ben Kosiba, known as Bar Kokhba (son of a star), was a charismatic, brilliant, and a brutal warrior.Rabbi Akhiba one of the greatest scholars in Jewish history, believed that Bar Kokhba was the mashiach. Bar Kokhba fought a war against the Roman Empire, catching the Tenth Legion by surprise and retaking Jerusalem. He resumed sacrifices at the site of the Temple and made plans to rebuild the Temple. (Do not forget this important point). He established a provisional government and began to issue coins in its name. This is what the Jewish people were looking for in a mashiach. However, the Roman Empire crushed his revolt and killed Bar Kokhba. After his death, all acknowledged that he was not the mashiach. Thus, in their view, Jesus clearly did not do such things and didn’t overthrow the Roman Government and establish the Messianic Kingdom. He is poised to return and literally fulfill His role as the Meshiach and establish His rule and reign for 1,000 years. Revelation 19:11-16–—And I saw heaven opened, and behold a white horse; and he that sat upon him was called Faithful and True, and in righteousness he doth judge and make war.12 His eyes were as a flame of fire, and on his head were many crowns; and he had a name written, that no man knew, but he himself.13 And he was clothed with a vesture dipped in blood: and his name is called The Word of God.14 And the armies which were in heaven followed him upon white horses, clothed in fine linen, white and clean.15 And out of his mouth goeth a sharp sword, that with it he should smite the nations: and he shall rule them with a rod of iron: and he treadeth the winepress of the fierceness and wrath of Almighty God.16 And he hath on his vesture and on his thigh a name written, King Of Kings, And Lord Of Lords. But back to the “other” significant event………. According to the report, Israel will be called upon to give up control of four sections of Jerusalem that will ultimately serve as the capital of a newly formed Palestinian state. It has already been reported that the agreement will include total US support for Israel in anything concerning the Iranian nuclear weapons program. The US will also support Israel in the international forum should Israel decide to act directly against Iran. The US support in will include substantial military aid, including advanced weaponry, should a conflict break out with Syria or Iran, even if the conflict is initiated by Israel. 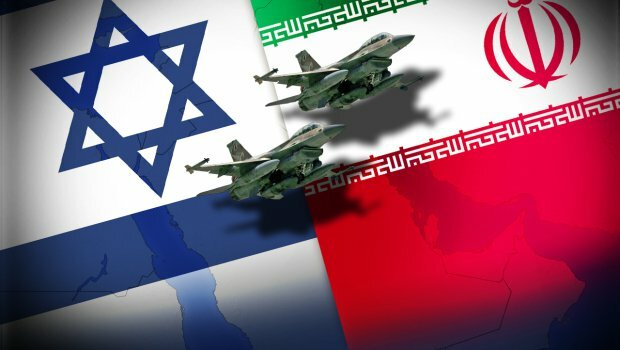 Israel and Iran are inching closer and closer to an all out war. Remember; it is the false messiah who will “save” Israel and bring a false peace to the world. Nonetheless, based on the reports above it looks as if the Trump peace plan will include the dividing of Jerusalem and sovereignty for the Palestinians, and may even include a sovereign state whose capital will be in East Jerusalem. The plan will include sovereignty for the Palestinians, which will strengthen them, and even though the report above says that the plan will not likely include “two state” language. The Palestinians have rejected this idea and are calling on President Trump and the United Nations to grant them Statehood. Although we do not know the exact details of the Trump peace plan, if the reports are accurate, it will strengthen some of Israel’s enemies, and include the dividing of Jerusalem. Daniel 9:27–And he shall confirm the covenant with many for one week: and in the midst of the week he shall cause the sacrifice and the oblation to cease, and for the overspreading of abominations he shall make it desolate, even until the consummation, and that determined shall be poured upon the desolate. Remember I mentioned earlier that Bar Kokhba, who was perceived to be the Messiah until the Romans usurped him, resumed sacrifices at the site of the Temple and made plans to rebuild the Temple. And Rabbi Kanievsky’s statement that the Messiah will be known come April 2019 after the Israeli elections are done which coincides with the possible timing of the announcement of the Deal of the century, the Trump Peace Plan. Regardless of the outcome, this peace plan initiative is another sign that the major events of the end times are very near. We are living in exciting times. get to know the Real Jesus. Get to know the Real Messiah…Now!!! In the late 1980’s, there was a movie about an Iowa corn farmer who hears a voice telling him: “If you build it, he will come.” He interprets this as an instruction to build a baseball diamond in his fields. As he takes heed to this instruction, Shoeless Joe Jackson and other dead baseball players emerge from the cornfields to play baseball. The film went on to be a successful one representing one of North America’s famous pastimes, which is baseball. Let’s fast forward to now and look at this phrase from a Biblical perspective. There has been a common saying among Jewish Rabbis that was recently modified. 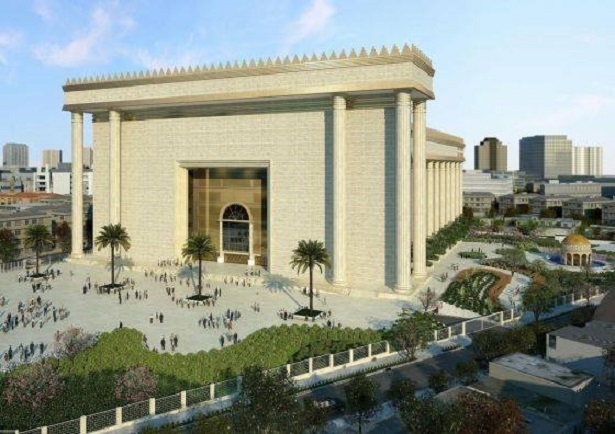 It was originally believed by many Jewish Rabbis that “…when the Meshiach will come, the temple will be built!” This of course is in reference to the rebuilding of a third temple in Israel. The first temple built in Jerusalem was a crowning achievement of King Solomon during his reign as the King of Israel. He was responsible for the construction of the magnificent Temple in the capital city of ancient Israel, which was Jerusalem. An interesting observation to make here is that when the Temple was completed, Solomon inaugurated it with prayer and sacrifice and even invited non­-Jews to come and pray there. He urged God to pay particular heed to their prayers as well. 1 Kings 8:43—Hear thou in heaven thy dwelling place, and do according to all that the stranger calleth to thee for: that all people of the earth may know thy name, to fear thee, as do thy people Israel; and that they may know that this house, which I have builded, is called by thy name. The second temple was eventually built some seventy years later due to an “Aaliyah,” of sorts that was led by the prophets Ezra and Nehemiah. The Second Temple was built on the same site. Ezra 3:1-11—And when the seventh month was come, and the children of Israel were in the cities, the people gathered themselves together as one man to Jerusalem. 2 Then stood up Jeshua the son of Jozadak, and his brethren the priests, and Zerubbabel the son of Shealtiel, and his brethren, and builded the altar of the God of Israel, to offer burnt offerings thereon, as it is written in the law of Moses the man of God. 3 And they set the altar upon his bases; for fear was upon them because of the people of those countries: and they offered burnt offerings thereon unto the Lord, even burnt offerings morning and evening. 4 They kept also the feast of tabernacles, as it is written, and offered the daily burnt offerings by number, according to the custom, as the duty of every day required; 5 And afterward offered the continual burnt offering, both of the new moons, and of all the set feasts of the Lord that were consecrated, and of every one that willingly offered a freewill offering unto the Lord. 6 From the first day of the seventh month began they to offer burnt offerings unto the Lord. But the foundation of the temple of the Lord was not yet laid. 7 They gave money also unto the masons, and to the carpenters; and meat, and drink, and oil, unto them of Zidon, and to them of Tyre, to bring cedar trees from Lebanon to the sea of Joppa, according to the grant that they had of Cyrus king of Persia. 8 Now in the second year of their coming unto the house of God at Jerusalem, in the second month, began Zerubbabel the son of Shealtiel, and Jeshua the son of Jozadak, and the remnant of their brethren the priests and the Levites, and all they that were come out of the captivity unto Jerusalem; and appointed the Levites, from twenty years old and upward, to set forward the work of the house of the Lord. 9 Then stood Jeshua with his sons and his brethren, Kadmiel and his sons, the sons of Judah, together, to set forward the workmen in the house of God: the sons of Henadad, with their sons and their brethren the Levites. 10 And when the builders laid the foundation of the temple of the Lord, they set the priests in their apparel with trumpets, and the Levites the sons of Asaph with cymbals, to praise the Lord, after the ordinance of David king of Israel. 11 And they sang together by course in praising and giving thanks unto the Lord; because he is good, for his mercy endureth for ever toward Israel. And all the people shouted with a great shout, when they praised the Lord, because the foundation of the house of the Lord was laid. During the first century B.C. Herod, the Roman appointed head of Judea, made substantial modifications to the Temple and the surrounding mountain, expanding the Temple. The Second Temple, however, met the same fate as the first and was destroyed by theRomans in 70 A.D.
Over the centuries, the Muslims who eventually took control of Jerusalem built two mosques on the Temple Mount, the site of the two Jewish Temples. Since any attempt to level these mosques would lead to an international Muslim holy war against Israel, the Temple cannot be rebuilt in the foreseeable future. Daniel 9:27— And he shall confirm the covenant with many for one week: and in the midst of the week he shall cause the sacrifice and the oblation to cease, and for the overspreading of abominations he shall make it desolate, even until the consummation, and that determined shall be poured upon the desolate. Isaiah 14:12-14 —How art thou fallen from heaven, O Lucifer, son of the morning! how art thou cut down to the ground, which didst weaken the nations! 13 For thou hast said in thine heart, I will ascend into heaven, I will exalt my throne above the stars of God: I will sit also upon the mount of the congregation, in the sides of the north: 14 I will ascend above the heights of the clouds; I will be like the most High. So where on earth is mount of the congregation in the sides of the north? I’m glad you asked. Psalms 48:1-2—Great is the Lord, and greatly to be praised in the city of our God, in the mountain of his holiness.2 Beautiful for situation, the joy of the whole earth, is mount Zion, on the sides of the north, the city of the great King. The Great King being referred to is none other the King David. Mount Zion is none other then the city of Jerusalem. The term Mount Zion has been used in the Bible first for the City of David and later, for the Temple Mount. 2 Samuel 5:4-7—David was thirty years old when he began to reign, and he reigned forty years. 5 In Hebron he reigned over Judah seven years and six months: and in Jerusalem he reigned thirty and three years over all Israel and Judah.6 And the king and his men went to Jerusalem unto the Jebusites, the inhabitants of the land: which spake unto David, saying, Except thou take away the blind and the lame, thou shalt not come in hither: thinking, David cannot come in hither.7 Nevertheless David took the strong hold of Zion: the same is the city of David. You ever wonder why there was such an uproar when President Trump declared that the U.S. Embassy was to be moved to Jerusalem and that Jerusalem is the Capital of Israel. The truth of the matter here is that we are fast approaching the Time of Jacob’s Trouble as the Tribulation period is set to kick off very soon. After the Rapture of the Church, the divine wrath of God will ultimately come in response to an arrogance of the nations against His covenant with Israel, particularly as it touches the question of Israel, Jerusalem and the Temple Mount. Revelation 11:1-2—And there was given me a reed like unto a rod: and the angel stood, saying, Rise, and measure the temple of God, and the altar, and them that worship therein.2 But the court which is without the temple leave out, and measure it not; for it is given unto the Gentiles: and the holy city shall they tread under foot forty and two months. This is the Eschatological context in which the gospel was first preached for a witness to all nations. It must be so again. The first disciples lived under the shadow of an imminent, age-ending judgment of Jerusalem. So shall it be again. 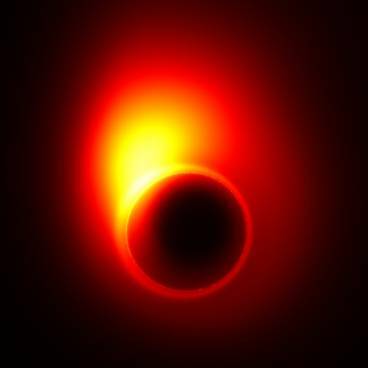 Posted on September 23, 2018 Author A. V. RaufCategories Bible ProphecyLeave a comment on If You Build it, He Will Come. Posted on July 27, 2018 Author A. V. RaufCategories Bible ProphecyLeave a comment on Blood Moon and Conjunction of the Planet Mars: A two-fold Harbinger?? Israel’s Nation -State Bill Has Been Confirmed as Law–70 Years after the Nation of Israel Was Established!!! Romans 11:25-32 For I would not, brethren, that ye should be ignorant of this mystery, lest ye should be wise in your own conceits; that blindness in part is happened to Israel, until the fulness of the Gentiles be come in.26 And so all Israel shall be saved: as it is written, There shall come out of Sion the Deliverer, and shall turn away ungodliness from Jacob:27 For this is my covenant unto them, when I shall take away their sins.28 As concerning the gospel, they are enemies for your sakes: but as touching the election, they are beloved for the father’s sakes.29 For the gifts and calling of God are without repentance.30 For as ye in times past have not believed God, yet have now obtained mercy through their unbelief:31 Even so have these also now not believed, that through your mercy they also may obtain mercy.32 For God hath concluded them all in unbelief, that he might have mercy upon all. Matthew 24:32-35—32 Now learn a parable of the fig tree; When his branch is yet tender, and putteth forth leaves, ye know that summer is nigh:33 So likewise ye, when ye shall see all these things, know that it is near, even at the doors.34 Verily I say unto you, This generation shall not pass, till all these things be fulfilled.35 Heaven and earth shall pass away, but my words shall not pass away. Those that study Bible prophecy are fully aware of the the years 1948 and 1967 regarding the nation of Israel. 1948 was the actual restoration of the nation-state itself whereas in 1967 the world witnessed the restoration of Israel’s capital, Jerusalem. Zechariah 14:1-9-— 14 Behold, the day of the Lord cometh, and thy spoil shall be divided in the midst of thee.2 For I will gather all nations against Jerusalem to battle; and the city shall be taken, and the houses rifled, and the women ravished; and half of the city shall go forth into captivity, and the residue of the people shall not be cut off from the city.3 Then shall the Lord go forth, and fight against those nations, as when he fought in the day of battle.4 AND HIS FEET SHALL STAND IN THAT DAY ON THE MOUNT OF OLIVES, which is before Jerusalem on the east, and the mount of Olives shall cleave in the midst thereof toward the east and toward the west, and there shall be a very great valley; and half of the mountain shall remove toward the north, and half of it toward the south.5 And ye shall flee to the valley of the mountains; for the valley of the mountains shall reach unto Azal: yea, ye shall flee, like as ye fled from before the earthquake in the days of Uzziah king of Judah: and the Lord my God shall come, and all the saints with thee.6 And it shall come to pass in that day, that the light shall not be clear, nor dark:7 But it shall be one day which shall be known to the Lord, not day, nor night: but it shall come to pass, that at evening time it shall be light.8 And it shall be in that day, that living waters shall go out from Jerusalem; half of them toward the former sea, and half of them toward the hinder sea: in summer and in winter shall it be.9 And the Lord shall be king over all the earth: in that day shall there be one Lord, and his name one. Zechariah 11:8-11-—8 In that day shall the Lord defend the inhabitants of Jerusalem; and he that is feeble among them at that day shall be as David; and the house of David shall be as God, as the angel of the Lord before them.9 And it shall come to pass in that day, that I will seek to destroy all the nations that come against Jerusalem.10 And I will pour upon the house of David, and upon the inhabitants of Jerusalem, the spirit of grace and of supplications: and they shall look upon me whom they have pierced, and they shall mourn for him, as one mourneth for his only son, and shall be in bitterness for him, as one that is in bitterness for his firstborn.11 In that day shall there be a great mourning in Jerusalem, as the mourning of Hadadrimmon in the valley of Megiddon. Again, we must understand that Israel rejected Jesus Christ as their Messiah AS A NATION and they must acknowledge Him as the Messiah as a nation AS A NATION. That being said, as of yesterday, the final draft of the Jewish Nation-State Basic Law was approved and ultimately passed it’s third and final reading the Bill has now officially become a law. Ladies and gentleman, as a result of this Bill now becoming a law, Israel’s Biblical and Jewish identity has now officially been restored approximately one year after Israel temporarily regained control of the Temple Mount and Jewish prayers were openly recited on the Temple Mount platform. So what does this mean you ask? Zephaniah 3:9—For then will I turn to the people a pure language, that they may all call upon the name of the Lord, to serve him with one consent. 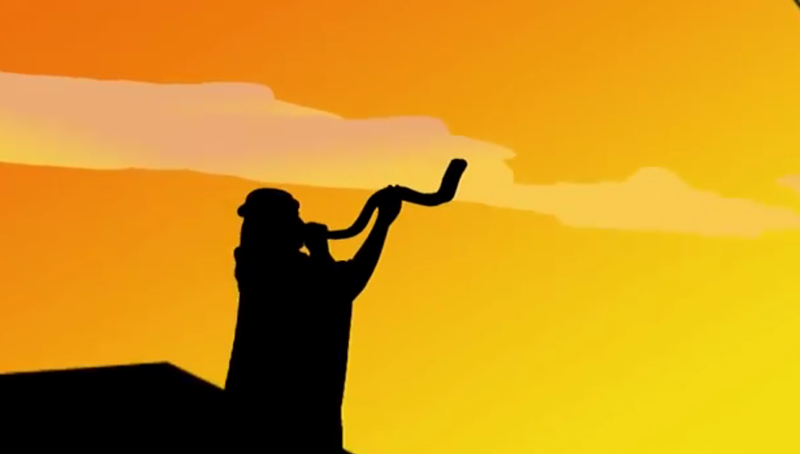 The Biblical calendar is now the official calendar of Israel and keeping the Sabbaths is now a nationwide requirement. But it doesn’t end there……the Biblical Holidays and Festivals will also be recognized and must be kept nationwide. Leviticus 23:1-4—And the Lord spake unto Moses, saying,2 Speak unto the children of Israel, and say unto them, Concerning the feasts of the Lord, which ye shall proclaim to be holy convocations, even these are my feasts.3 Six days shall work be done: but the seventh day is the sabbath of rest, an holy convocation; ye shall do no work therein: it is the sabbath of the Lord in all your dwellings.4 These are the feasts of the Lord, even holy convocations, which ye shall proclaim in their seasons. In the Old Testament, all the feasts were related to the spiritual life of the people. The Feast of Passover served as a reminder that there was no atonement for sin apart from the shedding of blood. The Feast of Unleavened Bread was a reminder of God’s call on their lives to be a people set apart to holiness. Leaven was a symbol of sin.. Israel was set apart and were to be unleavened that is, holy before the nations as a witness of God. The feast of First Fruits was a call to consider their priorities, to make certain they were putting God first in their lives. The Feast of Pentecost or Harvest was a reminder that God is the source of all blessings.The solemn assembly day of Trumpets was a reminder of the need for constant, ongoing repentance. The Day of Atonement was also a solemn assembly day a day of rest and introspection. It was a reminder of God’s promise to send a Messiah whose blood would cover the demands of the Law with the mercy of God. The Feast of Tabernacles was a joyous celebration of God’s faithfulness, even when the Children of Israel were unfaithful. 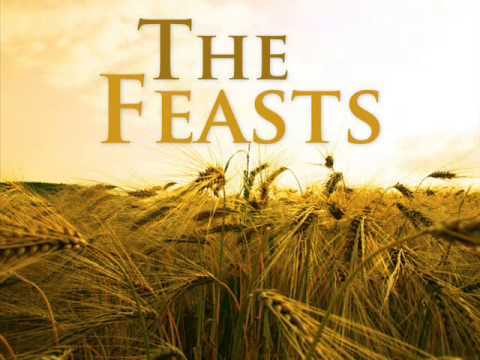 2) The Feast of Unleavened Bread — This Feast prophetically signified the importance of the Messiah’s sinless life, making Him the perfect sacrifice for our sins. Jesus’ body was in the grave DURING THE FIRST DAYS OF THIS FEAST! Is that also a coincidence??? 3) First Fruits — This Feast prophetically signified the Messiah’s resurrection as the first fruits of the righteous. THE RESURRECTION OF JESUS CHRIST TOOK PLACE ON THIS VERY DATE. By now you should take note that God is never late and He keeps his appointments and meets them on time. 1 Corinthians 15:13-33—–13 But if there be no resurrection of the dead, then is Christ not risen:14 And if Christ be not risen, then is our preaching vain, and your faith is also vain.15 Yea, and we are found false witnesses of God; because we have testified of God that he raised up Christ: whom he raised not up, if so be that the dead rise not.16 For if the dead rise not, then is not Christ raised:17 And if Christ be not raised, your faith is vain; ye are yet in your sins.18 Then they also which are fallen asleep in Christ are perished.19 If in this life only we have hope in Christ, we are of all men most miserable.20 But now is Christ risen from the dead, AND BECOME THE FIRST FRUITS OF THEM THAT SLEPT.21 For since by man came death, by man came also the resurrection of the dead.22 For as in Adam all die, even so in Christ shall all be made alive.23 But every man in his own order: Christ the firstfruits; afterward they that are Christ’s at his coming. 4) Harvest or Pentecost or Shavout— This Feast prophetically signified to the great harvest of souls, both Jew and Gentile, that would come into the kingdom of God during the Church Age. The Church was actually birthed on this day when the Messiah poured out the Holy Spirit and 3,000 souls responded to Peter’s first proclamation of the Gospel in the Book of Acts. Psalm 90:4— For a thousand years in thy sight are but as yesterday when it is past, and as a watch in the night. 2 Peter 3:8—8 But, beloved, be not ignorant of this one thing, that one day is with the Lord as a thousand years, and a thousand years as one day. Hosea 5:15 -Hosea 6:2—-15 I will go and return to my place, till they acknowledge their offence, and seek my face: in their affliction they will seek me early. 6 Come, and let us return unto the Lord: for He hath torn, and He will heal us; He hath smitten, and He will bind us up.2 After two days will He revive us: IN THE THIRD DAY He will raise us up, and we shall live in his sight. Genesis 2:1-3—2 Thus the heavens and the earth were finished, and all the host of them.2 And on the seventh day God ended His work which He had made; and He rested on the seventh day from all his work which He had made.3 And God blessed the seventh day, and sanctified it: because that in it He had rested from all His work which God created and made. That leaves us with the three fall feasts which are yet to be fulfilled in the life and work of the Messiah. Because Jesus literally fulfilled the first four feasts on the actual feast days, it is highly probable that the last three will also be fulfilled and that their fulfillment will occur on the actual feast days. The main point here is that now it has become Law for the people on Israel to observe these Feasts….as a Nation. Zechariah 12:1-3—The burden of the word of the Lord for Israel, saith the Lord, which stretcheth forth the heavens, and layeth the foundation of the earth, and formeth the spirit of man within him.2 Behold, I will make Jerusalem a cup of trembling unto all the people round about, when they shall be in the siege both against Judah and against Jerusalem.3 And in that day will I make Jerusalem a burdensome stone for all people: all that burden themselves with it shall be cut in pieces, though all the people of the earth be gathered together against it. Understand that with God, timing is everything……Is it a coincidence that this is happening less than three days from Tish’a B’Av (aka the 9th of Av) and a little over a week from Tu B’Av and this century’s yet another Blood Moon, which will be the longest eclipse in Israel this century!!! Revelation 7:1-8—–And after these things I saw four angels standing on the four corners of the earth, holding the four winds of the earth, that the wind should not blow on the earth, nor on the sea, nor on any tree.2 And I saw another angel ascending from the east, having the seal of the living God: and he cried with a loud voice to the four angels, to whom it was given to hurt the earth and the sea,3 Saying, Hurt not the earth, neither the sea, nor the trees, till we have sealed the servants of our God in their foreheads.4 And I heard the number of them which were sealed: and there were sealed an hundred and forty and four thousand of all the tribes of the children of Israel.5 Of the tribe of Juda were sealed twelve thousand. Of the tribe of Reuben were sealed twelve thousand. Of the tribe of Gad were sealed twelve thousand.6 Of the tribe of Aser were sealed twelve thousand. Of the tribe of Nephthalim were sealed twelve thousand. Of the tribe of Manasses were sealed twelve thousand.7 Of the tribe of Simeon were sealed twelve thousand. Of the tribe of Levi were sealed twelve thousand. Of the tribe of Issachar were sealed twelve thousand.8 Of the tribe of Zabulon were sealed twelve thousand. Of the tribe of Joseph were sealed twelve thousand. Of the tribe of Benjamin were sealed twelve thousand. 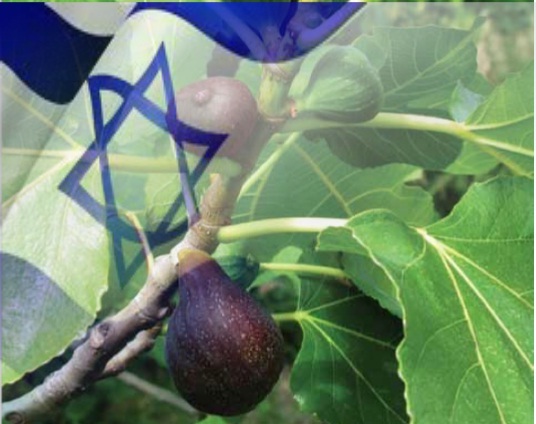 Posted on July 19, 2018 July 19, 2018 Author A. V. RaufCategories Bible ProphecyLeave a comment on Israel’s Nation -State Bill Has Been Confirmed as Law–70 Years after the Nation of Israel Was Established!!! Last year, a startling change of events took place. For first time (ever?) there seemed to be an alliance of some sort beginning to develop bewteen Saudi Arabia and Israel. It goes without saying that all of Islam has never sided per se with the Jews. This is a family feud that goes way back to the Book of Genesis and deals with who indeed was the promised child given to Abraham, Ishmael or Isaac? The focus of this writing is not about that. I want to share some interesting developments that are taking place in Saud Arabia. During his visit to the Unites States last month, Saudi crown prince Mohammed bin Salaman mentioned that BOTH Israel and Palestine had the right to have their own land. Furthermore, he stated that any Mid-East peace agreement would need to address the fate of Islam’s third holiest site, whichis located in Jerusalem and enusre the rights of the Palestinian people. The comments surprisingly appeared to mark a break with the public posture that had been held by most arab/Moslem leaders regarding Israel and land for peace. he also met with President Trump and held discussions with Jared Kushner, as wellas the administration’s special envoy to the Middle East peace process. Thus Saudi Arabia was expressing it’s support for Trump’s administration’s efforts at reaching an Israeli-Palestinian Peace deal. Mohammad bin Salman mentioned that Saudi Arabia was invested inestablishing formal relations with Israel only after a peace deal was signed. He also met with the head of the Anglican Church in London and promised to promote an interfaith dialogue as part of domestic reforms. As of now, Saudi Arabia, alongside much of, if not most Moslem nations, does not tolerate non-Muslims practicing their faith in public. According to this article, new churches will be built across the Arab kingdom under cooperation from the Vatican and local Wahhabi leaders. Cardinal Jean-Louis Tauran, President of the Pontifical Council of Inter-Religious Faith Dialogue met with the de-facto ruler Crown Prince Mohammed bin Salman and with multiple spiritual leaders.The final accord signed between all parties has outlined plans for Muslim-Christian summits once every two years and for greater rights for non-Islamic worshippers in the Gulf kingdom. The letter that was drafted by the Sanhedrin and signed by 23 rabbis who themselves worked together to restablish the Sanhedrin is now being sent to major Arab institiutions and leaders. Daniel 9:27—And he shall confirm the covenant with many for one week: and in the midst of the week he shall cause the sacrifice and the oblation to cease, and for the overspreading of abominations he shall make it desolate, even until the consummation, and that determined shall be poured upon the desolate. I believe David Rocefeller famously stated that a “global crisis,” would have to occur before the people of the world would be willing to accept a New World Order. Daniel 7:25–And he shall speak great words against the most High, and shall wear out the saints of the most High, and think to change times and laws: and they shall be given into his hand until a time and times and the dividing of time. Could a third world war, coupled with the Rapture of the Church ultimately serve as the global crisis that brings forth this change? It is very possible. 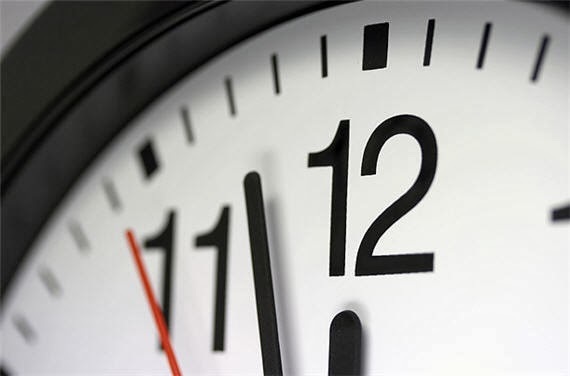 Nearly 30 percent of the Bible relates to end time prophecy. 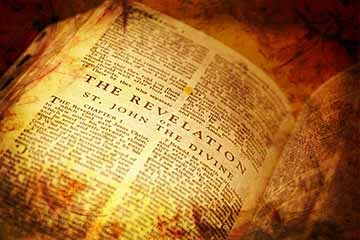 Yet in spite of the abundance of scriptural revelation available to us End Time Bible prophecy is strangely neglected in both Jewish and Christian teachings. The information is sitting right there in our Bibles. Unfortunately, many Christians don’t read their Bibles. They are very busy nowadays. They don’t have time let alone take the time to check up in Berean fashion the things they hear on Christian television or from the pulpit. Acts 17:11–These were more noble than those in Thessalonica, in that they received the word with all readiness of mind, and searched the scriptures daily, whether those things were so. Finally, if you are not born again, I urge you to read (and examine) the Salvation Plan section on this page and get saved. Time is short. Posted on May 6, 2018 May 6, 2018 Author A. V. RaufCategories Bible ProphecyLeave a comment on Post Rapture Preparations??? Just yesterday, Israeli Prime Minister Benjamin Netanyahu revealed a cache of files he claims were obtained from Iran from the Mossad in an overnight mission in an attempt to prove that Iran ran a secret program to build nuclear weapons. Iranian leaders have been insisting that their nuclear program is strictly for peaceful purposes. But Netanyahu on Monday unveiled tens of thousands of pages of documents that he states refutes those claims. It is being reported that half a ton of documents were taken in this coup. The real reason for Iran’s development of nuclear weapons has to do with their religious beliefs, specifically speaking of Shi’a Islamic eschatology. The very name of their plan was revealed by Benjamin Netanyahu as “Project Amad”. When studying Islamic eschatalogy, Al Mahdi is a central figure according to Shi’ite beliefs. Followers of this belief are also referred to as Hojjatieh Society. They are actually anticipating his return. Former Iranian president Mahmoud Ahmadenijad himself was a strong supporter of Al Mahdi and actually claimed to have met him. If you recall this former president Mahmoud Ahmadinejad and the religious clerics were strong supporters in the belief that provoking nuclear war with Israel or America would ultimately quicken the arrival of Al Mahdi. The Iranian Shi’a Twelvers also believe that a great war must occur in Syria until the country is completely destroyed. Does this explain the intense Iranian infiltration in Syria and their connecteion to the Syrian Civil War?? Watch the clip of Netanyahu’s speech which reveals how close Iran is to acquiring nuclear weaponry. Furthermore, it is being reported that the mummified remains of former Iranian leader Reza Shah Pahlavi may have been discovered on Monday during construction at a shrine in Shahr-e Ray, south of Tehran. Afer the 1979 Revolution led by Ayatollah Khoumeni, the tomb was destroyed but his remains were never found. RezaShah Pahlavi symbolizes the type of government most Iranians want. A government that is secular, tolerant and modern. During the nationwide demonstrations that allegedly have continued to take place uninterrupted for weeks, it is his name that is being chanted. Could this be a bad omen for the current regime or could it be a harbinger to war with Israel. Is there about to be a regime change in Iran? Aren’t the nations of the world especially after Netanyahu’s speech going to be outraged? Keep in mnd that President Trump as until May 12, 2018 to determine whether or not the U.S. will continue to support or undermine the nuclear deal with Iran that was confirmed in 2015 that lifted sanctions on Iran. The six nations present in this deal included the United States, the United Kingdom, France, Germany, Russia and China. Is it a coincidence that the Prime Minister Angela Merkel of Germany and Emmanual Macron, President of France just visited Trump in the White House this week! Will the possible preempting Iranian acquisition of nuclear weapons lead to launching strikes into Iran courtesy of Isarel after what Benjamin Netanyahu just revealed? I have another theory and it is just sheer speculation but I tend to believe it. In my humble opinion, Chuck Missler, one of the most brilliant Bible teachers and a distant mentor to me via Koinonia House, passed into the Presence of the Lord. He was 83 years old and transitioned peacefully from his residence in New Zealand. I met him in person once but gained much prophectic insight through studying the Bible and many of his teachings pertaining to eschatalogy. I just have a hunch that we will see him as well as the many saints that have gone before us in the presence of the LORD, very, very, very soon. As the world awaits the release of a Blockbuster movie that involves a “War,” of galactic proportions, let me inform you a a “real” war that is on the verge of commencing. A war written about several thousand years in advance. 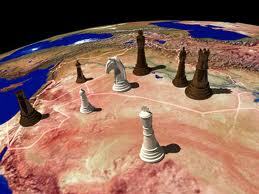 The Theatre for this war is none othet then the Middle East! 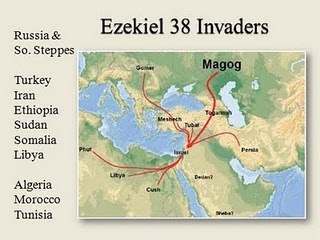 Any student of Bible Prophecy is cognizant of the fact that the War of Gog/Magog as prophesied in Ezekiel Chapters 38-39 is indeed on the horizon. As we speak, a huge land bridge from Russia to the border of Israel has been established and a strong Russian presence remains in Syria, and which also include their ally: Iran or Persia. It is now evident that all the pieces are prophetically being put into place. Of the many nations mentioned in the Bible that form a coalition to attack Israel, the three prominent nations foretold to attack Israel in Ezekiel 38-39 (Russia, Iran & Turkey) are now literally setting camp near the Golan Heights. We already know that Turkish troops have entered Syria to fight Kurdish military forces and are advancing southward towards the Israeli border. It is also fairly evidnt now that Russia is definitively attempting to guard Iranian military forces from an Israeli military onslaught. This could very well be the next war on the horizon and if it is, then the7 Year Tribulation is set to commence. Buckle your seatbelts! It’s about to get very interesting the next few months.